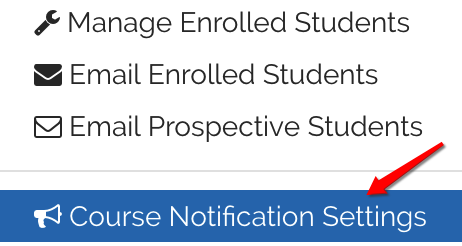 Use 'Course Notifications' feature to customize email templates to receive notifications related to your course. 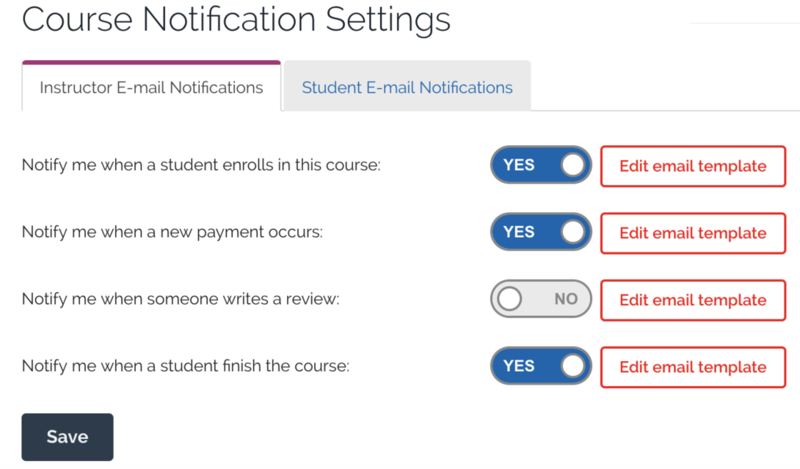 You can trigger emails based on actions such as when a new student enroll in your course or a new payment occurs. You can enable/disable certain email triggers by clicking on the Yes/No slider button. 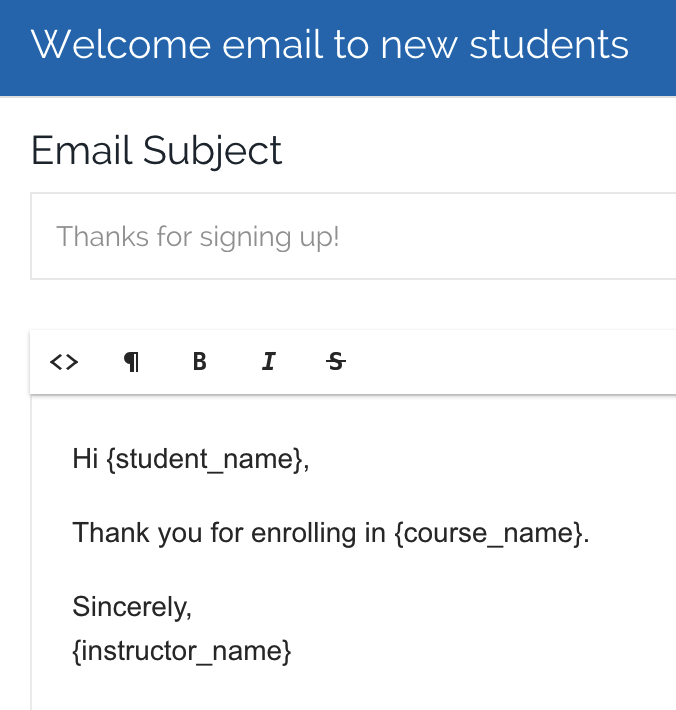 Click "Edit email template" button to customize the email template. The email templates comes with variables for easy customization.